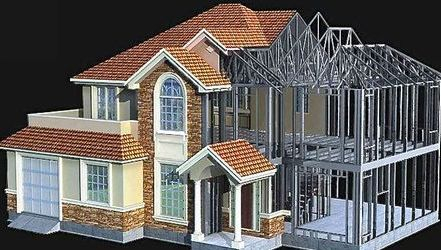 Steel-frame prefabricated construction technology is suitable for any design or size of structure, and for all building applications, world-wide. The structural frame can if required, be designed based on the actual shape of the proposed building, with the ability to adopt a prefabrication concept. 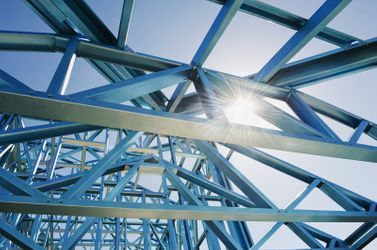 - Our steel frame structures carry a 50 year Warranty with a 50 year design period. 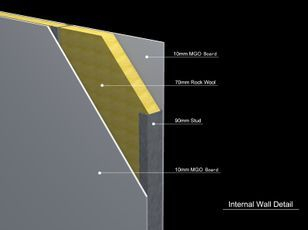 The high performance walls are available with a wide selection of insulation and load strength qualities and capabilities. 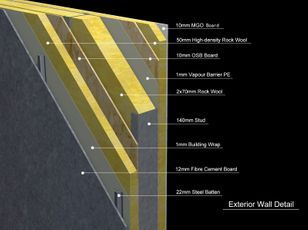 Internally, they comprise in their simplest terms, an inner core of rigid foam plastic insulation, sandwiched between two structural skins of OSB (oriented strand board). 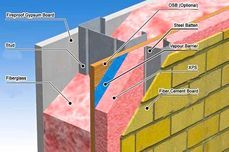 This forms a very rigid structure with excellent insulation qualities. 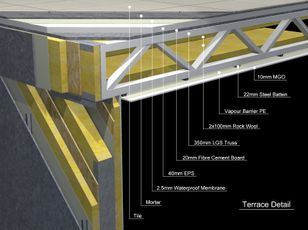 The numerous layers and the inclusion of items such as wind-proof sheeting, vapour barriers and breather membranes etc, all increasing strength and insulation qualities to form an environmentally efficient building. 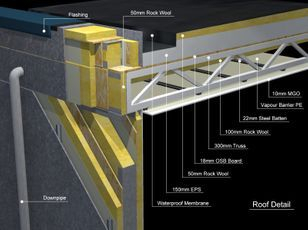 The framing structure provides support for all external and common parts, such as cladding, roof systems, stairwells, corridors, balconies, and communal spaces for example. 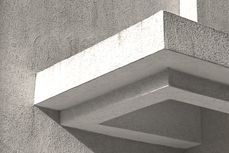 A system of standard construction industry connections allows interconnecting components and fittings to interface with the foundations, roofing, balconies, corridors and inner walls etc., ensuring a perfect joint. 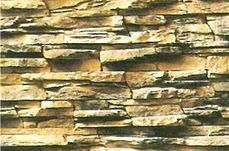 This is compatible with current cladding support technology such as brick support and cladding rails. 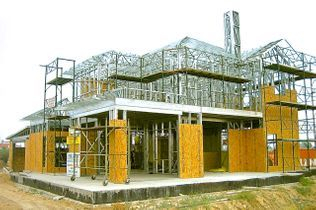 Assembly is simple, fast, safe, and is based on a standard concrete slab foundation. 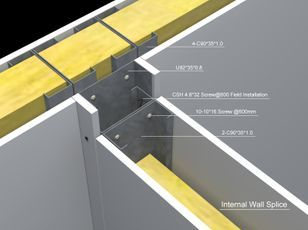 The advanced design allows for rapid erection utilising low-tech, fail-safe locking mechanisms. Prefabricated units are completely sealed and weatherproof from the factory, ensuring that the interior components remain fully protected throughout the assembly process, whatever the elements. The entire simple construction process can be completed quickly (10 - 21 days on average) by a small semi-skilled labour team, in the first instance, normally overseen by one of our own Chief Engineers. - Internal fixing and finishing 30 - 35 days as an average. As with the construction, they are not included in the manufacture and supply price. 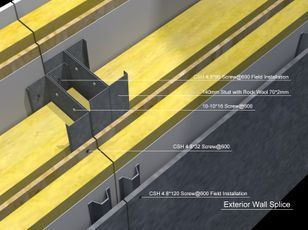 The base however, is in most instances, is essentially a straight-forward concrete slab, with a little increased depth for supporting walls, keeping foundation costs to a minimum. 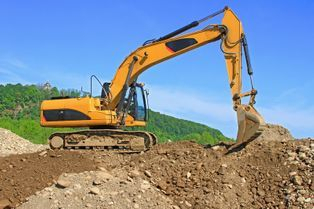 All ground-work elements will be treated and costed as a separate project, allowing maximum advantage to be taken of the experience, convenience, and invariably far lower and negotiable prices of local specialist tradesmen. All foundation plans and requirements will be provided for your early guide assessment. In previous years, much as modular construction methods tended to be more expensive than that of it's 'brick & block' counterparts, this was generally offset by the far quicker construction times. 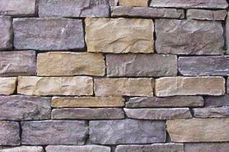 Our innovative technology and methods now however have reduced the cost of panellised construction to below that of traditional brick & block, whilst embracing a whole new level of finish and sophistication. Technology that speeds the process still more and can utilise local semi-skilled labour . . . . all now meaning even greater quality, and greater economies.